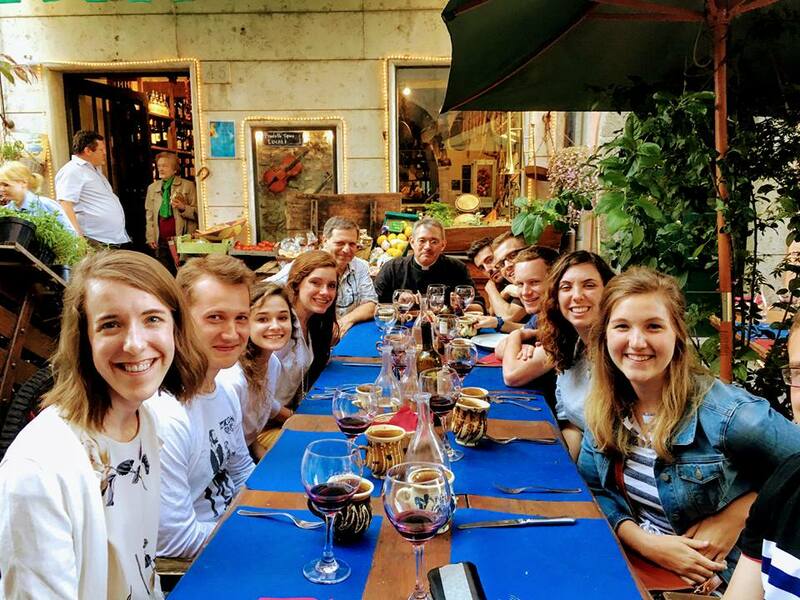 With grateful hearts, Newman Institute students and Dr. Freeh journeyed on a pilgrimage to Rome, Italy May 10-21! What a blessed time encountering the faith, art and history of the eternal city and surrounding areas. Take a look at just a few of the many highlights from the trip! Wanda Gawronska recently spoke about her famous uncle with students from the Newman Institute for Catholic Thought and Culture who attended this year’s 12-day pilgrimage (May 10-21), which included a papal audience, visits to Rome’s major basilicas and churches, participation in several lectures and talks, a midnight prayer walk to the Shrine of Divina Amore, and a three-hour private tour of the Vatican Observatory given by astrophysicist Father David Brown, S.J. Beatified in 1990, Frassati was known as a layman with a great love of life who shared his vibrant faith with others and gave money to support the poor and suffering of Turin, Italy, before dying at the age of 24. Dr. John Freeh, director of the Newman Institute, said the visit with Gawronska was one of several opportunities for students to deepen their knowledge of Catholic faith and culture during the pilgrimage, which also included day trips to Assisi and to San Giovanni Rotondo, where St. Pio (Padre Pio) lived and died. In addition to visiting the holy sites of the city, including the catacombs of St. Pancras and the Scavi (excavations) beneath St. Peter’s Basilica, students were treated to a lecture on the papacy of Pope Emeritus Benedict XVI, given by Father Roberto Regoli, who teaches Church history at Rome’s Pontifical Gregorian University. Newman Institute pilgrims met several times with Lincoln priests and seminarians who work and study in Rome. Msgr. Thomas Fucinaro and Msgr. Richard Gyhra organized a special meal for the group on Pentecost, Father Matthew Rolling celebrated Mass in the crypt of St. Peter’s, at the Chapel of the Patrons of Europe, and seminarians Andrew Schwenka, Joseph Wahlmeier and James O’Neill hosted the group for Sunday Mass and brunch at the North American College. Freeh said that the Newman Institute will likely organize a return trip to Rome in October to attend the canonization of Pope Paul VI. For 2019, the Institute will organize a mission trip to New Mexico, Freeh said. The May trip will be a two-week walking pilgrimage to Santiago de Compostela, Spain, the burial place of St. James. The Institute will offer two undergraduate courses in the fall semester: “Introduction to the Great Books I: Seekers, Sojourners and Pilgrims” and “Love and Friendship,” a seminar that will study works by Aristotle, Augustine, Shakespeare and Willa Cather, among others. Undergraduates can earn college credit for the courses through St. Gregory the Great, and then transfer those credits to UNL or other area institutions. Additionally, the Institute will offer for the first time two evening seminars for non-undergraduates: “Keys to the Kingdom: Seven Encyclicals for the Modern World” and “The Poetry of the Psalms.” More information on courses and other activities, including the fall Reborn in Wonder Lecture series, is available at newmaninstitute.com. See more photos from the Pilgrimage here. See original article in the Southern Nebraska Register here. “James O'Neil . 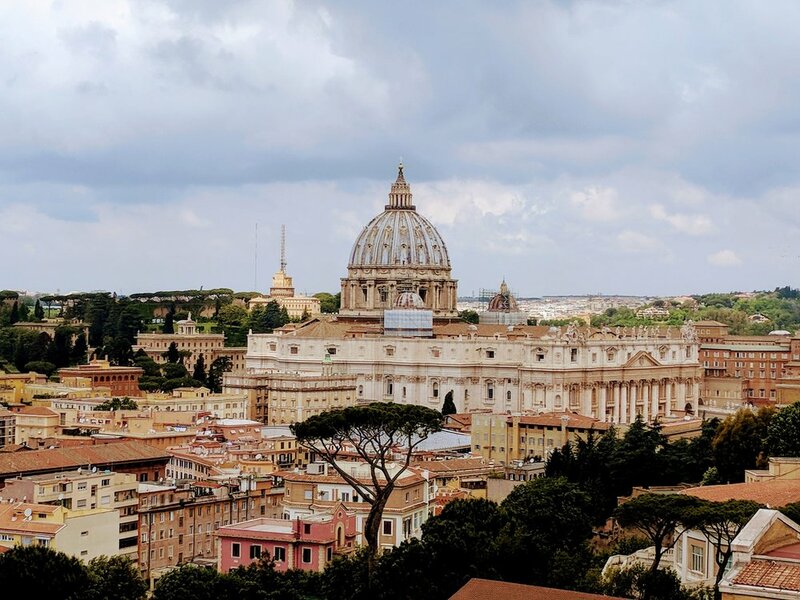 . . the North American College, Rome.” When Bishop Conley sat down with the senior class of St. Gregory the Great Seminary in Seward, NE, these were words I didn’t expect to hear. We had been looking forward to receiving our assignments for many weeks, and it was with both excitement and some trepidation that we waited for the bishop to turn to each of us and tell us where we would be spending our next four years of seminary. I was last in line, and by the time the bishop turned to me I thought I knew what he would say. I certainly did not. Before entering seminary in 2014, I attended the University of Nebraska. I was only in Lincoln for one brief year, but that year has decidedly shaped my life. On beginning college I joined Phi Kappa Theta Fraternity, and there I found something I hadn’t fully experienced before—men my age who were active in the faith and dedicated to living it out. In this environment, it was easy to get involved in the Newman Center. I began attending daily Mass, and through Newman Center events like community nights and Koinonia retreats I made many good friends. It was also through the Newman Center that I decided to enter seminary. 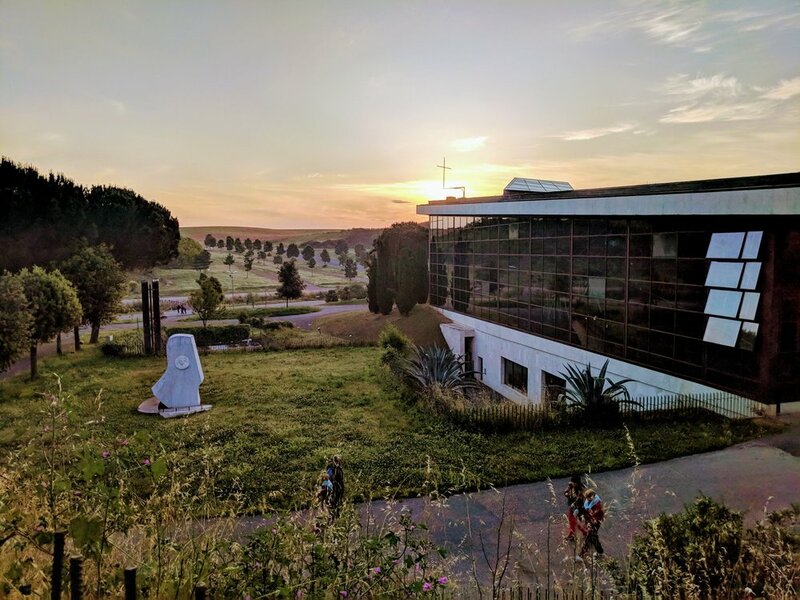 A powerful prayer experience on a FOCUS retreat—really, a unique encounter with the Holy Spirit—convinced me to try it out, and less than two weeks later I sat down in Fr. Matya’s office and he handed me an application. Now I’ve been in the seminary for three years, and have four years still to go. It’s been challenging, but fruitful. And soon I will begin the next stage of my discernment in my new assignment in Rome. 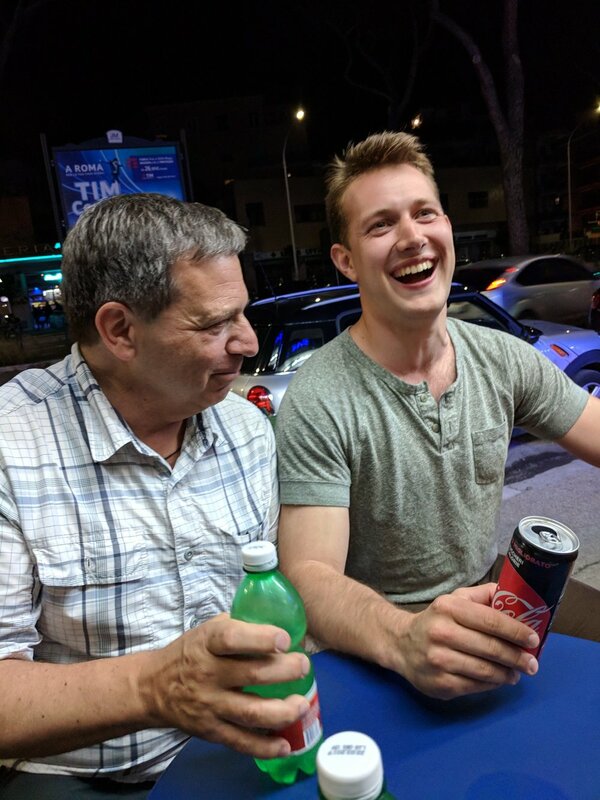 While the reality of Rome has not fully sunk in, I am honored and excited for the unique experience of living and studying in the Eternal City. I will leave for Rome this summer, and, God willing, after four years I will be ordained a priest of Jesus Christ. I ask that you keep myself and all of my brother seminarians in your prayers as we continue our studies and our discernment! Know that you are in our prayers as well. Thank you! Your information has been received.